The trip to Antigua was a sudden response to Hurricane Irma. It wasn’t on our agenda until an opportunity presented itself. Brad received a call from a Sun on Sunday editor who asked if we were responding to the crisis and if we could work together to get blankets from the Sun on Sunday Knit a Kid a Blanket Appeal to the children affected by the hurricane. Brad explained that because there hasn’t been huge loss of life, although extremely sad, this disaster in particular wasn’t high up in our priorities for finding orphaned children. After spending some time thinking about this opportunity, we realised it would be such a fantastic learning curve for our crisis response development. The trip to Antigua was fully funded by The Sun on Sunday and Virgin Atlantic, meaning that we were able to get 20 boxes of emergency aid to the affected children, without it costing us a penny! As well as giving over 200 beautiful handmade blankets and 100 family water filtration systems, Brad was able to meet other first responders and glean from their experience. The team was lead by Brad, from Operation Orphan. With him was Graham and Dan, a Senior Features Writer and a photographer from the Sun on Sunday and Rob, a Virgin Atlantic First Officer were given permission to visit the two government shelters and were able to give each child a blanket. They cuddled into their new gift with such joy and thankfully there were enough blankets to give one to every child at both shelters. 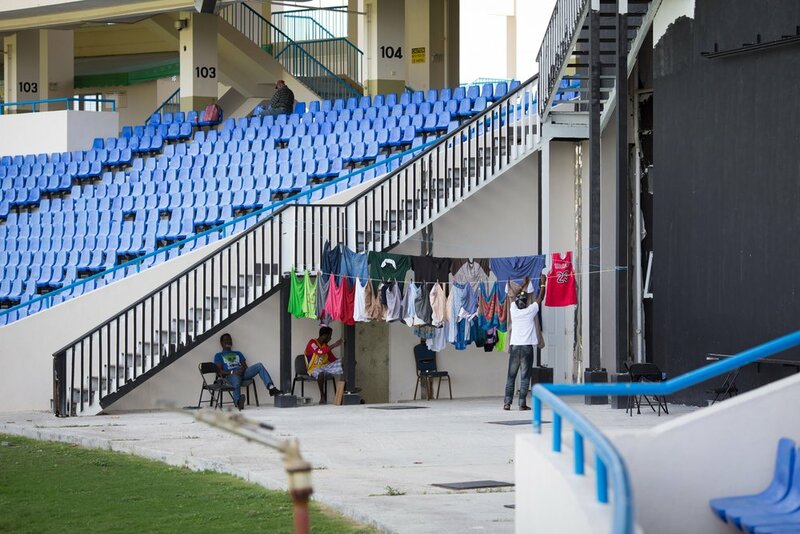 At night, the temperature drops and the cricket stadium’s air conditioning means that it’s so cold for them. These blankets were not only practical but brought much needed emotional comfort to them. 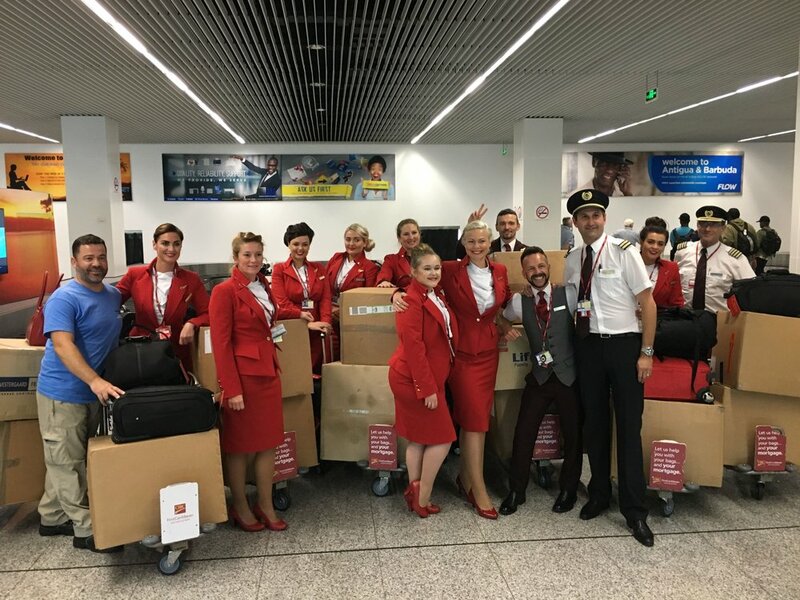 The Virgin Atlantic flight crew also wanted to help so the next day, before flying home, Brad got permission for the distribution of educational supplies bought by the crew in local shops. Emma, the flight manager, was so moved by the situation she chose to fly back the following weekend, especially to deliver some gorgeous Cubbies to all the children. There is no long term plan or need to continue helping the children in Antigua and Barbuda but the legacy of this response will be felt in future Crisis Response Team deployments.